Will Apple Redefine the Consumption of Talk Radio? 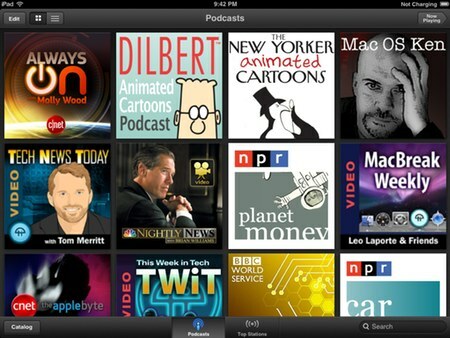 Radio guru Mark Ramsey reviews a new app designed to increase the popularity of podcasts. While Pandora now is the choice of close to 150 million users who wish to personalize their music stations, personalized talk radio has not yet been mastered. Why does this matter? Terrrestrial talk radio is rapidly consolidating around major platforms owned or controlled by Premiere Radio Networks, Cumulus Media Networks, and ESPN. These companies have all but replaced local radio shows with national sports or political news talk personalities. These programs are vulnerable to personalized talk radio platforms that feature ease of use, choice, and compelling content that can be locally created and sponsored.